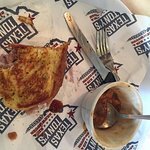 Beef Brisket is mouth watering... the home made chili but we also tri...A good value is also the pick up catering, but don't get the mac and cheese u...We also love the hearty chili and the big platter with sausage too. 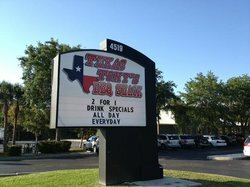 BEST BBQ FROM TEXAS TO FLORIDA If you ask Tony Phelan why he loves the restaurant business, his response is quick and without hesitation. 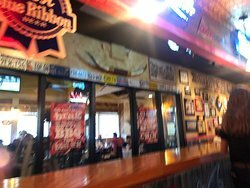 "I'm passionate about pleasing people" With a goal of bringing a first class experience and barbeque product Texas Tony's Rib House was born. Tony Phelan grew up in Texas, attended the University of Houston and met his wife Kathleen in the restaurant business. 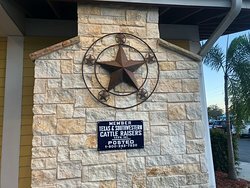 So taking those Texas roots and his love of Texas barbeque, he set out on a plan of introducing a unique brand of barbeque to Southwest Florida. Taking a combination of Hickory and Oak woods to smoke with and cooking at low temperatures, it created the perfect formula for our Award Winning Barbeque. Enjoyed great food and beer at this pleasant place. 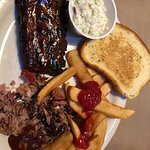 A full slab BBQ baby backs well prepared and served by a friendly waiter, cole slaw and onion rings made my happiness complete. I can recommend the restaurant to any meat lover. Thank you so much for the wonderful review! It sounds like you thoroughly enjoyed your visit and we hope you will be back soon. Spare ribs were great, cooked perfect with a sweet rub. Best baked beans i have ever had. Excelent service as well. Thank you so much for the 5 star rating! It's wonderful to hear that you enjoyed your meal and we hope you will be back soon. Visited Texas Tony’s for the first time and it certainly won’t be our last. 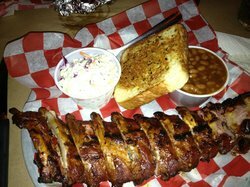 The baby back ribs were excellent, the sides were delicious and service was great. We are so glad that you enjoyed your initial visit to our local restaurant! Thank you so much for taking the time to let us know about your experience and we hope you will be back soon. Definitely a go to place for BBQ. Food is tasty and service is right on. Great menu to choose from. 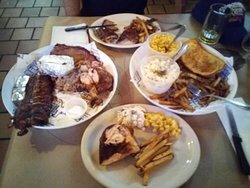 Recommend the combo platter to sample 2 or 3 of their delicious meats. Thank you for leaving us a great review! 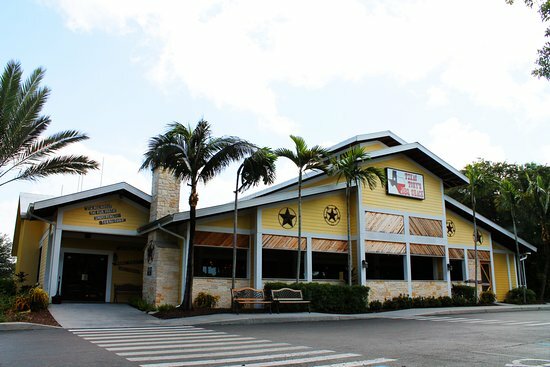 We strive to consistently provide excellent food and service and is sounds like we hit the mark. We look forward to seeing you again and hope you will be back soon! Very nice choice for lunch on a very busy Saturday afternoon. Very nice restaurant in beautiful Naples Florida. Nice menu, very good service and excellent food. The ribs were really good. Will definitely go back and highly recommend to others. Your recommendation of our restaurant is one of the best compliments we can receive in this industry. Thank you so much for your kind words, we hope to see you again soon. 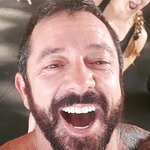 Thank you so much for your recommendation of our local business! We are glad you enjoyed your dining experience and appreciate you taking the time to leave us your feedback. Please come back and see us soon. 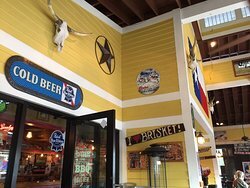 Get quick answers from Texas Tony's Rib & BrewHouse staff and past visitors. Do you have outdoor tables so we could bring our dog? To my knowledge there are no outdoor tables as I don't remember seeing anyone eating outdoors.